Saltstraumen up close. Experiencing the mighty Saltstraumen up close and personal by RIB when the current is at its strongest is a must-do experience when visiting Bodø. Up to 400 million cubic metres of seawater forces its way through the 150 m wide strait every six hours. When to be there? We plan the trip to ensure you will be in the middle of the current when it is at its strongest. The current reaches speeds of up to 20 knots, creating whirlpools up to 10 m in diameter. Good chances to see the white-tailed sea eagle, but no guarantee given. Photo credit: Bjørn Erik Olsen. 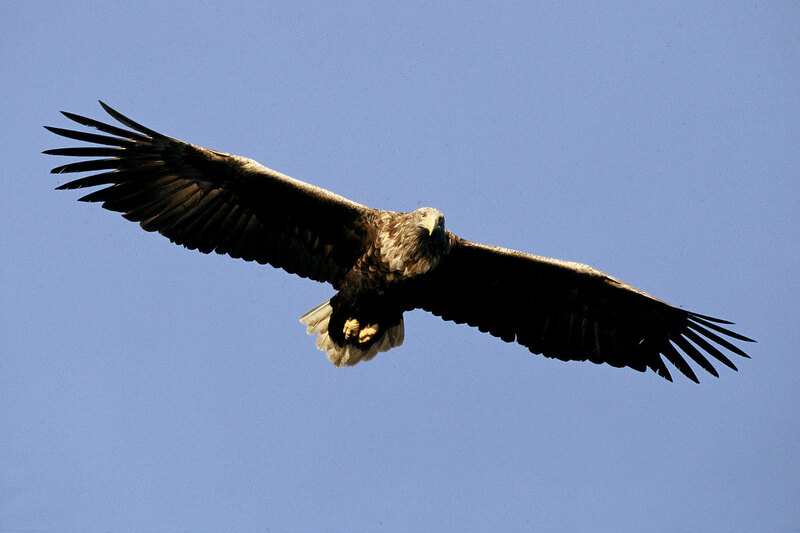 We make several stops during the trip to inform you about the nature, white-tailed sea eagle, Saltstraumen and Bodø. If you are lucky, you will also get a close-up encounter with the sea eagle, Northern Europe’s largest bird of prey. The skipper will gladly share stories and answer questions. During the adventure, you will be wear a flotation suit and have your own seat on board. Sea rafting in large seagoing inflatables (RIB) is an exciting experience that provides unique closeness to the sea. Easy. Most people can participate in this activity. The tour lasts approx. 2 hours (Bodø - Saltstraumen - Bodø). 12 per boat. For larger groups, the total capacity for the RIB trip Bodø - Saltstraumen is max. 120 people. April – October (also possible in daylight hours during winter).